A leader in the field of health and wellness! 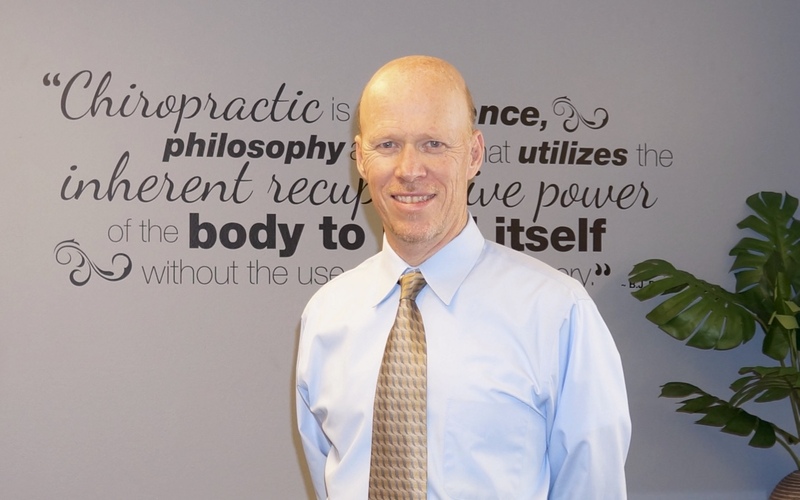 Dr. John J. Collins of Springbrook Chiropractic in Newberg, OR is a doctor who is deeply committed to relieving your pain, helping you to heal and optimizing your health, without drugs or surgery. A former engineer, Dr. Collins' strong background in science informs everything that is done in his office. As a bilingual (English/Spanish) world traveler to over 35 countries, Dr. John possesses a broad perspective regarding health and wellness. He is a runner who has competed in over 500 footraces since the 1970s. His athletic background and advanced education in sports-related conditions enriches his work with athletes of all ages, from weekend warriors to Olympic trial competitors. He has a passion for teaching and holds regular wellness classes in order to inspire and empower people to take back control of their health. He particularly loves helping those who have chronic, long-standing conditions. Dr. Collins is committed to the constant improvement of chiropractic profession- he is the host of one of the world's largest chiropractic professional online forums (www.cspine.org) and has been an involved member of both his state and national chiropractic professional associations since 1993. In 2003, he was voted "Young Chiropractor of The Year" by the Chiropractic Association of Oregon. He enjoys learning, reading, music, outdoor recreation, hiking, jogging, volunteering, old-home-repair, gardening, spiritual pursuits and putting his feet up (not necessarily in that order). He is a native of New York and lives in Dayton, OR. He is married to Ann-Marie. In my teens and twenties, despite being a pretty fit and competitive runner, I suffered from repeated episodes middle back pain. I would get pain episodes at least a few times per year. The pain was not unbearable, more of a nuisance. It would usually go away, on its own, in a few days to a few weeks. In my late 20s, while experiencing another bothersome back pain episode, I went to a new chiropractor who x-rayed my spine. He explained the xrays to me and also explained the special relationship between the shape and function of my spine, the function of the nervous system/spinal cord/spinal nerves and overall health. Each treatment included another brief health lesson and some simple posture-improving exercises. After getting adjusted about 6 times, my back pain was gone. But, more importantly, six months later the pain was STILL gone! I was finally free of this back pain! This was when I finally decided I wanted to be a chiropractor. I started Western States Chiropractic College in Portland, Oregon in 1992. It was a good and rigorous program that focused primarily on the muscular-skeletal aspects of chiropractic care. I studied hard, became a student leader (Student Body President), learned a great deal and graduated with a very solid basic education in 1996. I started my career the first few years by working for other chiropractors and helping people primarily with back pain, muscular-skeletal pain and injuries (sports injuries, work-related injuries, car crash injuries, etc.) to get out of pain and get active again. It was good and rewarding work and I was able to help lots of people. As I progressed through my career and gained more experience I observed that spinal adjustments could sometimes be an effective treatment for more than just spine pain and muscular-skeletal conditions (see the list of conditions on this website). I began to really understand, first hand, that vertebral subluxations (or 'VSC'- small mis-alignments and restrictions of the spinal bones) could sometimes have substantial negative health effects beyond just pain (My chiropractic college never really emphasized this fact, but that is a story for another day). I also realized that physical medicine alone was often not enough to substantially improve people with deep-seated, multi-causal, chronic health problems. So, I brought Naturopathic Doctors into my office and I strongly-emphasized therapeutic nutrition and supplements. I also treated more children during this period. My success rate and clinical results continued to improve. I was particularly proud of the fact that many of my patients were able to get off their prescription drugs after undergoing care with me. In my never-ending search for more knowledge (I attended dozens of hours of post-graduate education per year), in 2006 I attended a series of lectures up in Seattle given by Dr. James Chestnut, DC of Victoria, Canada. This doctor was truly one of the most insightful and wise doctors I have ever met. He had developed a new wellness-oriented, science-based, chiropractic health care model. His chiropractic health care approach, although science-based, was truly radical when compared to mainstream medicine today. His approach, at once, both challenged and resonated with my own beliefs. After further study of his concepts, I realized this approach was for me. It was after these classes that I started to really change how I practiced chiropractic. I became a wellness-based chiropractor practicing in the wellness paradigm (focused more on prevention and moving people TOWARD better health) rather than in the sickness paradigm (focused more on insurance companies, labeling of diseases and moving them AWAY from suffering and sickness). I became more of a teacher of wellness through the practice of chiropractic care. My work as a chiropractor became less a job and more of a cause or mission. My practice has never been more rewarding and more interesting and more effective than it has been since 2006! Hundreds of people have attended my monthly wellness class and they have gained new insights into how to properly eat, exercise, regain/maintain spinal health as well as overall physical/emotional/social health. For those patients who are truly committed to improving their health, our clinical results are absolutely stellar. They get out of pain, have more energy and get off of their drugs. Then they send their family and friends to us. We have been able to help many hundreds of people in very substantial, life-changing ways. I truly believe that we are saving lives by not only realigning people's spines, but by realigning their erroneous beliefs about health and disease. "All of us want to be pain-free, with the energy and enthusiasm to pursue, enjoy and share our lives with loved ones. My approach to dis-ease and health is natural and holistic, yet thorough and scientific. I use a highly-effective approach to: 1) Give you rapid relief, if possible. 2) Help correct the underlying causes of ill-health and 3) Help you to TRULY move toward optimal health. If I and my excellent staff or associates are not able to help you, I will be the first to tell you so. And if we can't help you, we'll try to find the qualified professionals who can."